Jonathan Goodelman is an associate in the Real Estate Department and Restaurant and Hospitality Group. Jonathan provides inventive and useful legal advice to developers, real estate equity and opportunity funds, real estate investment trusts, investors, owners and tenants in all aspects of commercial real estate transactions. 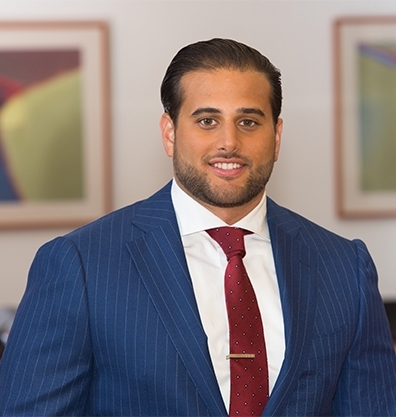 Jonathan is experienced with all state and federal land use regulations as well as liquor license law in the state of New Jersey, and has represented a variety of clients with respect to their zoning and liquor license issues. Jonathan earned his B.A. in political science from Stony Brook University and his Juris Doctor from Seton Hall University School of Law. While in law school, Jonathan worked as a judicial intern in the chambers of Judge Joseph A. Dickson of the United States District Court, District of New Jersey and interned for Judge David B. Katz for the Superior Court of New Jersey, Chancery Division. At Seton Hall Jonathan served as a submission editor on the Seton Hall Law Review, was a semi-finalist in the Eugene Gressman Appellate Moot Court Competition, and a research assistant to Professor Michael Simkovic.